Nature Center, hiking & nature trails, picnic tables & shelter, playground, basketball, tennis, softball, restrooms, nature programs for all ages, wine tasting parties for adults and tea parties for children. Room rental available. This unique 28 acr e park hosts concerts and picnics on the lawn, a wooded stream valley with ponds, a naturalistic native plant garden, over 20 thematic demonstration gardens, a greenhouse filled with tropical plants, and a well-stocked horticultural reference library. 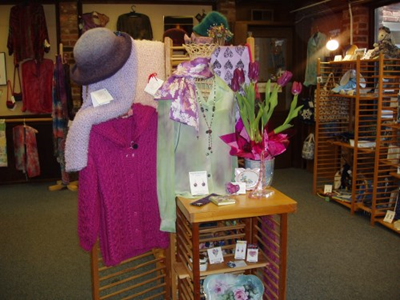 Visit the Garden Gate Plant Shop along with two more gift shops, with gift ideas ranging from books and gardening gloves & glasses to china & nature inspired jewelry and wind chimes. Gardening programs for all ages, formal English tea programs at the Historic Manor House, and the most interesting classes throughout the year. Numerous leisurely trails are available for strolls through the gardens and woods. Three sample townhouse gardens are landscaped to demonstrate just how charming a small garden space can be when planted thoughtfully. Artists tend to gather in the gardens to paint the brilliant landscape. Prom couples gather at the Gazebo or one of the many side gardens for pictures of their special day, concerts are given during the summer with optional boxed dinners along with n ative plant sales. In the Horticulture Center, rotating art shows are on display, a comprehensive horticulture library is open to the public, and a large meeting/banquet space with gorgeous views of the gardens is available for rental. School and scout field trips are encouraged with special youth programs available. Weather permitting, the course is open all year. Charity and company tournaments can be scheduled throughout the year with club tournaments taking place in the summer. Bring yourself, your family and friends, or your company for a great golfing experience. 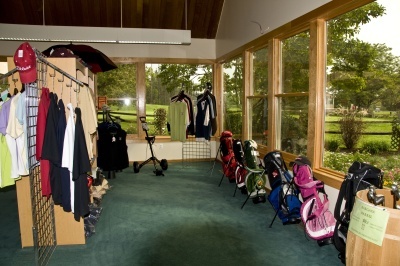 Pinecrest Golf Course features a fully stocked clubhouse including a full service pro shop and snack b ar. The pro shop offers selections of signature clothing, hats and visors, golf ba gs, umbrellas, giftware, and golf accessories. Food & Beverage Service in the Club House: Pinecrest Golf Pro Shop offers a wide variety of choices for all types of cravings. 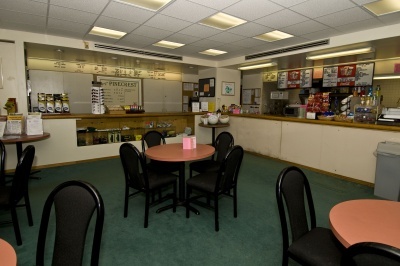 Their menu offers fresh sandwiches, burgers, hot dogs, beverages & plenty of snacks, with a friendly staff who can serve large groups up to 36 persons. This is a perfect way to complement any outing or tournament. Twenty Two acre park with kid friendly playgrounds, trails, 2 lighted tennis courts, synthetic turf ball fields, and musical performances during the summer evenings. Mason District Park has great trails for hiking with two loops in the shaded wooded area; one 3/10 mile and the other 9/10 mile. There are two buildings with public restrooms, 6 lighted tennis courts (reservations required), volleyball & basketball courts, fitness trail, batting cages, a picnic area with a shelter you can reserve, and an Amphitheatre with varied musical presentations and children shows. In 2002, a roomy Dog Park was created with a capacity for 62 canine friends. From May to early November the Annandale Farmer's Market is held here from 8 am to NOON. Fully equipped recreational center located within Wakefield Park with a 50m x 25yd pool, one 3m and two 1m diving boards, and super slide. The natatorium also contains spectator seating, doors that lead to a spacious outdoor sundeck, and locker rooms containing saunas and showers. In addition to the various racquetball/wallyball and squash courts, the center has a largegymnasium with six basketball hoops, and volleyball nets. The center also contains a cycle studio, a dance room, a pottery lab and kiln, an arts and crafts room, a photography lab, three multi-purpose activity rooms, and a senior center. Over 40 fitness classes each week are offered for all ages. Wakefield Park has miles of outdoor trails including the Cross County Trail which is utilized by cyclists, runners and nature lovers. There are well lit outdoor basketball, volleyball and tennis courts, baseball & softball diamonds, a newly expanded skate board park, and soccer fields, An extensive summer camp program is held each year along with the Braddock Farmer's Market on Wednesdays during early May to late October from 2-6pm.